Earn up to 20 Paw Points. Always feed to maintain a lean active condition. 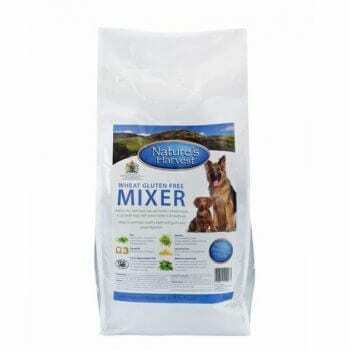 Provide your dog with a clean container of fresh water daily. 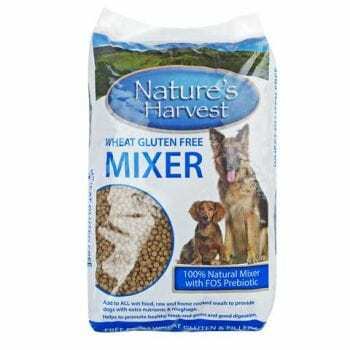 If your dog has not eaten Nature’s Harvest Wheat Gluten Free Mixer before, it is best to introduce it slowly over a couple of days. Always consult your vet with any specific health questions.